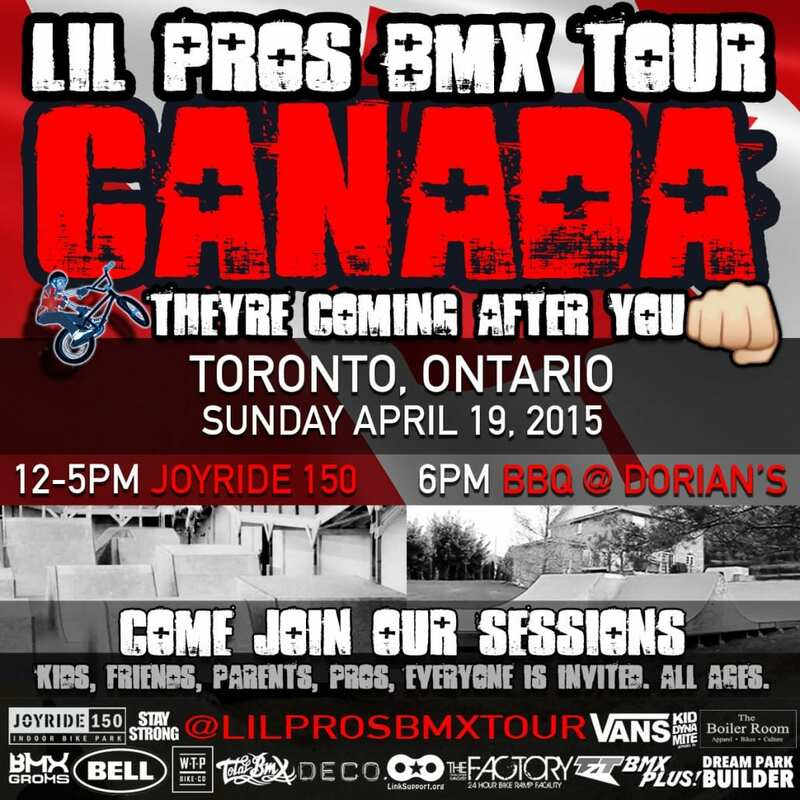 Lil Pros BMX Tour CANADA! Session at Joyride 150 & Backyard BBQ at Dorian’s on Sunday April 19th! https://lilprostour.com/wp-content/uploads/sites/23/2015/04/lil-pros-bmx-tour-canada.jpg 1200 1200 Dustin Grice http://lilprostour.com/wp-content/uploads/sites/23/2015/06/lil-pros-logo-web.png Dustin Grice2015-04-05 14:25:042015-04-08 14:55:00Lil Pros BMX Tour CANADA! 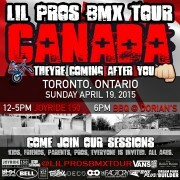 Session at Joyride 150 & Backyard BBQ at Dorian's on Sunday April 19th!